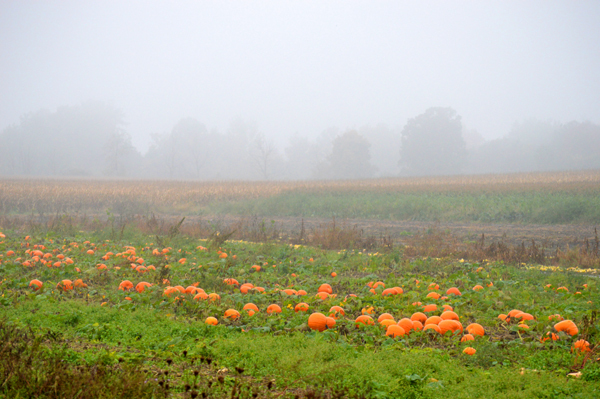 Revisiting images taken earlier this year, here is a view from October of a colourful farmer’s field on a foggy morning. 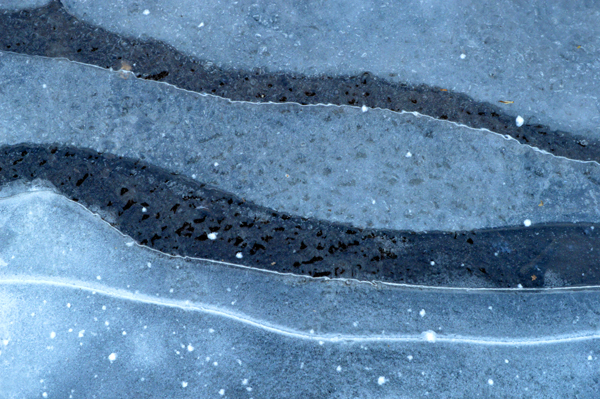 A view of the cosmos in a small frozen puddle by the road’s edge. 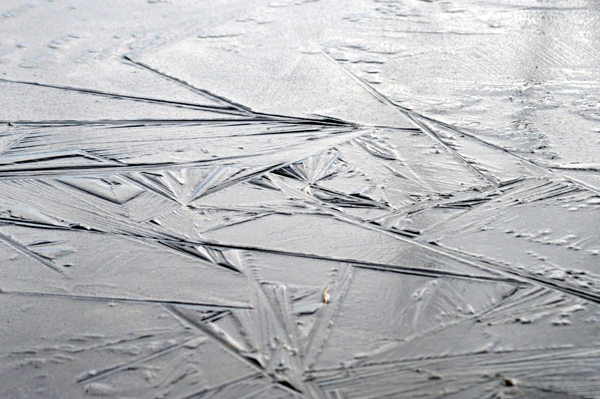 Ice on the pond has a graphic look. 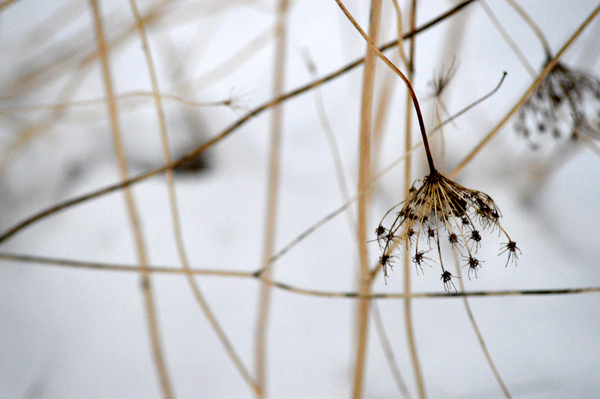 Snow provides great contrast for the dried Queen Anne’s Lace in the field. 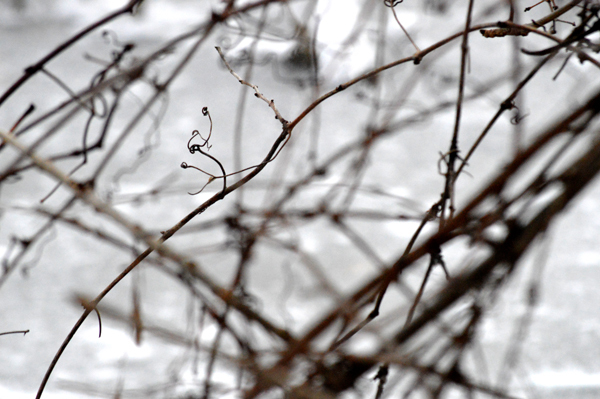 Vines grow along the shore at Westminster Ponds. 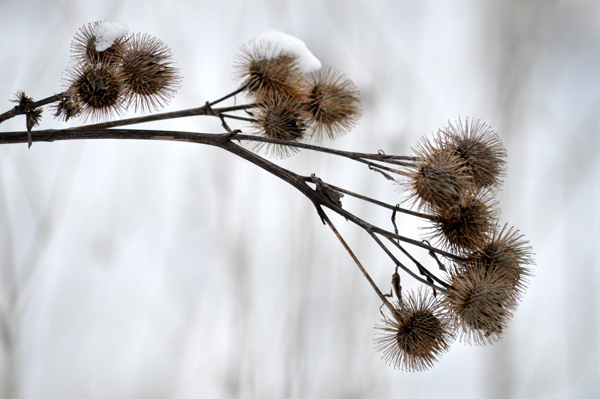 Burrs in the field wait to hitch a ride. A view over Walkers Pond.